Casting call for A Whimsical Christmas 2019!! at the Keely Jardell School of Dance studio. Dancers must be enrolled in ballet class at the time of the audition. Dancers must be 6 years old (1st grade) by September 1st. Dancers must wear black leotard, black booty shorts or skirt, pink tights, ballet shoes, and hair in a bun for audition. $30 audition fee. 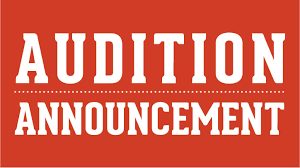 Make-up audition is Tuesday, May 7th from 6:15-7:15pm (all grades). Members are required to attend Ballet class during the dance year. All company members are required to participate in two fundraisers. For any additional information, please contact the studio at 409-724-6567 Mondays – Thursday (3pm-8pm). Join us for A Whimsical Christmas!! The 2019 performances of “A Whimsical Christmas” are Friday, Dec. 13 at 7:00 p.m. and Saturday, Dec. 14 at 2 p.m. at the Nederland Performing Arts Center located on the campus of Nederland High School on 18th Street off Spurlock Road. For any additional information or group sales of tickets, please contact the studio at 409-724-6567 Mondays – Thursday (3pm-8pm). Ace Glass and Mirror, Inc. If you would like to receive cast updates and reminders via text, send a text message saying "@whimsical" to 81010.